The area has been rich in well-known products since Ancient Times: marble and wine, which were exported in all parts of the world. Worth a special mention is the “Riviera degli Olivi”, the long golden shore running along the lake for 50 kilometres (from Peschiera to Malcesine). There are many historical places and buildings around the lake. The architectural style is mostly traditional Italian vernacular, which is very picturesque. There are also many classical style building churches, grand houses and castles. Other places of interest on the lake include Lazise, Peschiera and Sirmione. Starting from the 1st century BCE, the area of Sirmione, became a favourite resort for rich families coming from Verona, then the main Roman city in north-eastern Italy. Grotte di Catullo in Sirmione is the most striking example of a Roman private edifice discovered in northern Italy. 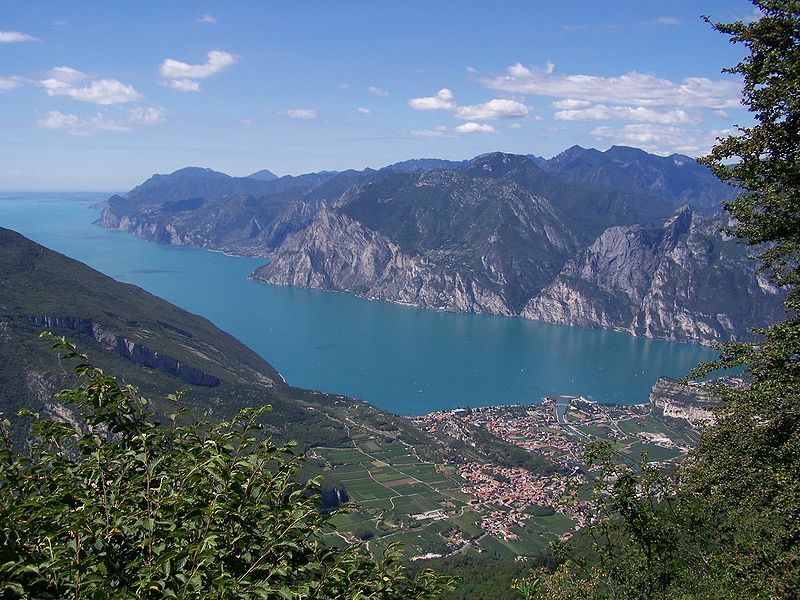 If you enjoy a splash around, then swimming in Lake Garda will be something you will love doing! For a start, there are many places you can do it and the water at Lake Garda is so pure and clear, it makes swimming a real pleasure. The lake is pleasantly warm enough to swim in from about May through to September/October time. The lake is sourced from the mountains at the top of the lake, so the water in the north end of the lake is clearer and colder. You can swim anywhere in the lake, but some good options are Garda, Lazise, Padenghe and the Toscolano/Maderno area. The nearest airport to Lake Garda is just outside Verona, Aeroporto Valerio Catullo di Verona with flights arriving mainly from Europe. 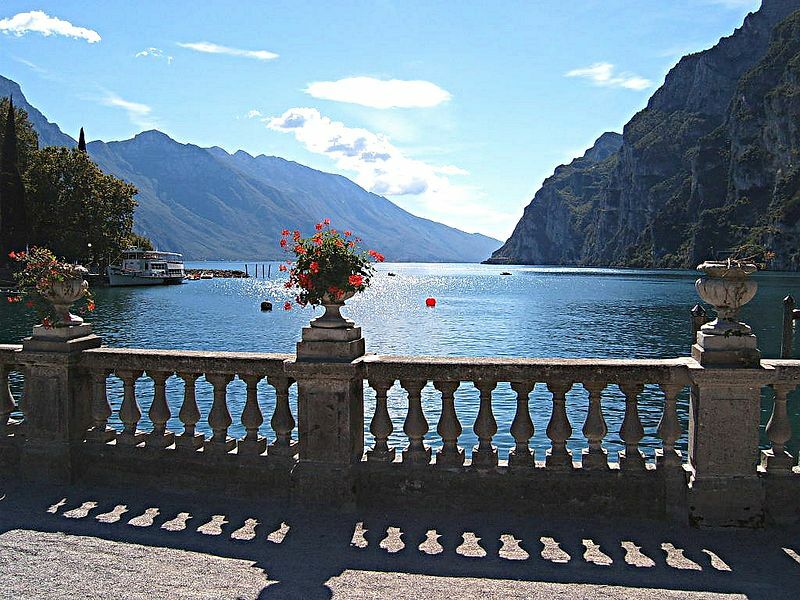 Transfers to the Lake: Many hotels particularly in the south of the lake offer reasonably priced transfers for their guests so it is always advisable to check when booking. It is possible to reach the lake by public transport, by taking the Airport Shuttle bus to the centre of Verona, then either bus or train. There are only two train stations though, one at Peschiera del Garda and the other at Desenzano del Garda. Other airports serving the Lake are Milan Bergamo (Orio al Serio), Milan Linate, Milan Malpensa, Venice Marco Polo and Venice Treviso. There are two stations available for the southern end of Lake Garda - at Desenzano and Peschiera. Both lie on the main line from Milan to Venice and are served by frequent trains. Details on www.trenitalia.it (English language version).